In 1980, Petro’s first job was to revamp Sooner Refining Company’s Egan Refinery in Louisiana. Petro used Simsci’s “PROCESS” to simulate crude oil distillation and designed adequate overhead cooling capability. As a result of our engineering and construction the refinery was able to increase crude throughput from 7,500 BPD to 12,500 BPD. 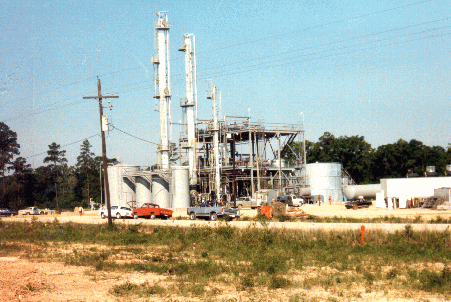 In 1985, Petro provided complete engineering for Celeron Oil’s Jennings Ethanol Plant. Petro developed process design from scratch using Simsci’s “PROCESS” and then implemented the design into a new plant which was built in Jennings, Louisiana. This was the first complete plant engineered by Petro. The plant concentrated aqueous ethanol (12%) from corn for use as automotive fuel—gasohol. Celeron was a wholly-owned subsidiary of Goodyear. Jennings, Louisiana, is 200 miles east of Houston. 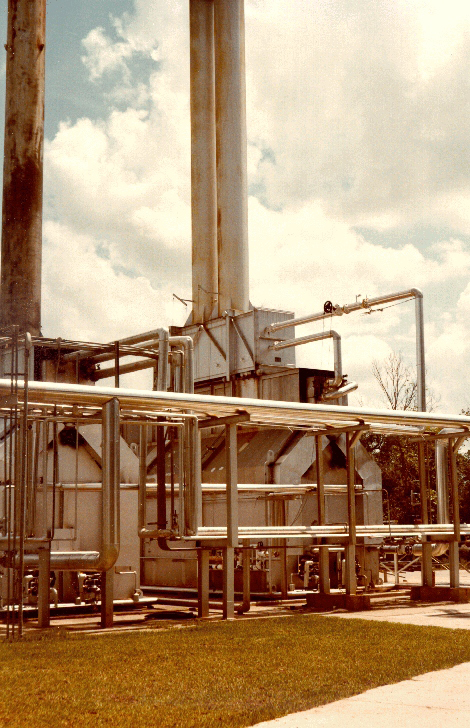 In 1987, Petro under took to simulate FCCU debutanizer at a Convent, Louisiana refinery. Petro used Simsci’s “PROCESS” for the job. In 1992, Petro developed a process to manufacture dimethyl ether for use as an aerosol propellant. We used “DESIGN II” for developing the process. In 1993, Petro engineers completed work on developing Aerosol Propellant Technology. We were granted U.S. Patent (No. 5,191,146) for a process to refine LPG into aerosol propellants. Heat and material balance for the process was developed using ChemShare (“DESIGN II”). Using this process you can produce eco friendly, stable alkane (propane, n-butane and i-butane) propellants for personal care products like hair sprays, deodorants etc. In 1994, Petro completed a “DESIGN II” model of carbon black manufacturing process. 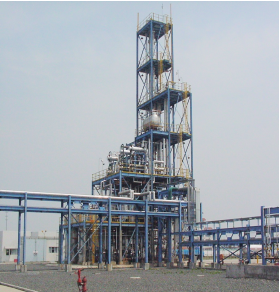 In 1995, Petro engineered an Aerosol Propellant Plant, which was built in China. The process was hydro de-sulfurization followed by advanced extraction. These are disclosed in the U. S. Patent application. This was another complete plant engineered by Petro. Petro used “DESIGN II” process simulator. In 2002, Petro was involved in a revamp at a turbo-expander plant in Cote d’Ivoire. Wet inlet gas from oil wells is cooled to cryogenic temperatures and ethane and heavier petroleum fractions are separated. Petro delivered a process design package, cost estimate and a 3-D layout of a new de-propanizer. All process work was done using “DESIGN II” simulator. In 2003, Petro developed a simulation model of Wet Gas Recycle Process to produce formaldehyde from methanol. Petro is now ready to provide complete design of formaldehyde plants. “DESIGN II” was the process simulator. Petro has ready designs to manufacture hydrogen sulfide, methyl mercaptan, dimethyl sulfide, ethyl mercaptan. Simulation models are ready in “DESIGN II”. In 2004 Petro addressed flow assurance issues of about twenty five Zafiro offshore wells in Equatorial Guinea. Petro performed hydraulic analysis of multiphase flow using Invensys’ PIPEPHASE. In 2005, Petro developed a system and a process for the reduction of NOx from furnaces. We continue of find opportunities in separation using distillation. We will obtain vapor—liquid equilibrium data from published sources (or the client). Then regress this data into an Equation of State (NRTL, Wilson etc.) using “DESIGN II” (ChemShare) and finally use “DESIGN II” to design a complete distillation plant. In 2006, Petro were retained by the law firm Abrams, Scott & Bickley (Houston) to assist in litigation on a turboexpander plant built in Geismar, Louisiana. In 2007, Petro developed an engineering design to concentrate ethanol for a plant which was to be built in Fairmont, Minnesota. We performed process simulation using “DESIGN II”, developed 3-D layout using CadWORX. 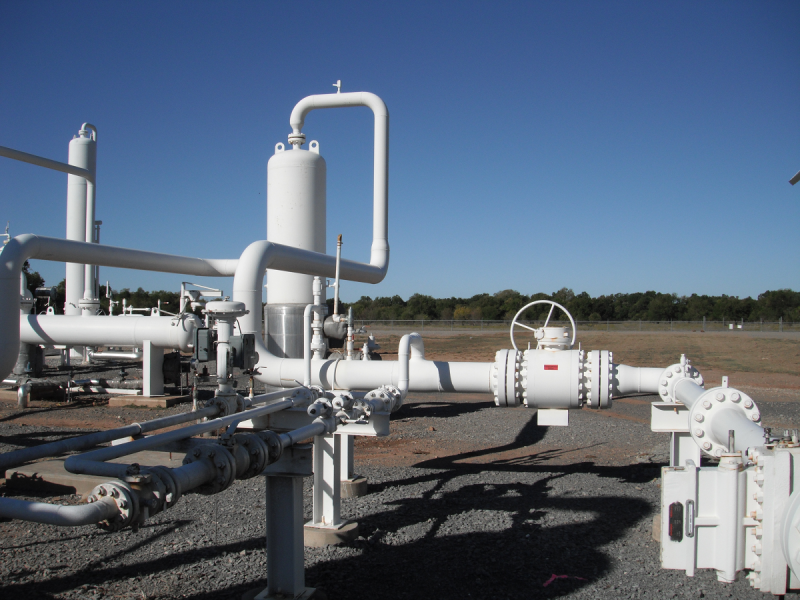 In 2007, Petro studied Marathon Oil’s Oletha Field in Texas and developed a PIPESIM model for flow assurance analysis. In 2007 Petro analyzed an evaporator for concentrating glycol, which is used for deicing aeroplanes. All work was done using DESIGN II. In 2009 Petro developed a process to manufacture tetra methyl ammonium chloride. In 2010 Petro performed an analysis of a facility that produces yeast, a residue from the fermentation process. In 2010 Petro generated a FEED II (Front End Engineering and Design) package for a major oil company. We generated ten P & IDs, specification sheets for pumps, compressors, instrument index, a one line power diagram and a 3-D model of a conceptual plant. In 2011 Petro studied an ammonia refrigeration system to increase the capacity of CO2 concentration system. In 2011 Petro provided engineering support for gas processing and an Amine Unit for increasing ethane recovery in a turbo-expander plant. We generated 3-D model using AutoCAD 2012 Plant Suite. In 2012 Petro studied concentration of aqueous bromine mixtures. In 2012 Petro provided assistance to generating power in Iraq and natural gas sweetening. In 2012 Petro studied dilute phase conveying of carbon black. A hydraulic model of the system was based on Winsim simulation. In 2013 Petro was involved in analysis of a crude oil production facility in Erbil, Kurdistan, Iraq. In 2014 we assisted a midstream petroleum in Dallas, TX company with hydraulic analysis of crude pipeline. Petro recognizes that our clients’ need for environmental guidance and consultation services are frequently unscheduled, unbudgeted and last minute surprises. Petro will coordinate periodic testing services to meet permit requirements. We will review records and consult on environmental control system performance and operating procedures. Petro will respond to specific situations and assist in problem definition, identifying corrective alternatives and recommending a course of action to pursue. Sometimes, situations under study may be an unanticipated problem caused by manufacturing process change, control system malfunction oversight in a regulation requirement or a misguided public or government opinion. We developed a conceptual design to recover acrylonitrile from a wastewater stream at a chemical plant near Bay Minnette, Mississippi. The evaluation considered various processing conditions at the plant. We were retained to study high BOD/COD levels in wastewater at a chemical manufacturing plant located forty miles north of Mobile, on Highway 43 in 1988. Constituents of concern were alcohols, ketones and oil & grease. Petro studied the process and recommended changes to process to avoid contamination. We have provided consultation to law firms on litigation support and have testified as Expert Witness on chemical processing, petrochemical manufacture and related cases. Our service includes studying of technical documents, performing computerized process simulation and reviewing documents. We will explain technical jargon in plain language to lawyers and company executives. We have gained knowledge of engineering work flow of major projects in chemical manufacturing plants and petroleum processing facilities. We will spot weak assumptions and inadequate work. We will point out favorable (and unfavorable) facts. If necessary, we will develop scientific testing, initiate additional laboratory analyses to shed more light on the pleadings and presented documents. Cause No. 2001-48088; Gulsby—Bay Partners v. Gulf Liquids New River Project LLC in the 215th Judicial Court of Harris County, Texas (2006). Petro provided process design, detailled engineering, project management and start-up services for this grass-root plant. Petro provided process simulation, process design, PFD's, P&IDs and general arrangement. We handled purchasing of all major equipment. 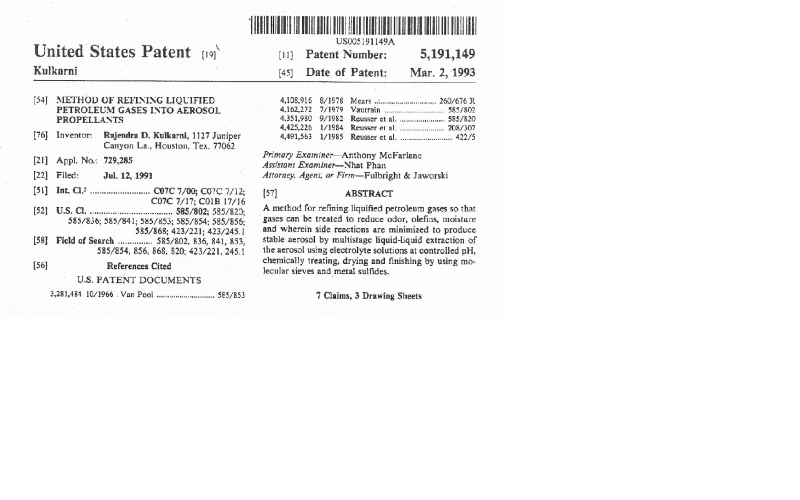 A US Patent issued to us on "Method of Refining Liquified Petroleum Gases in Aerosol Propellants.